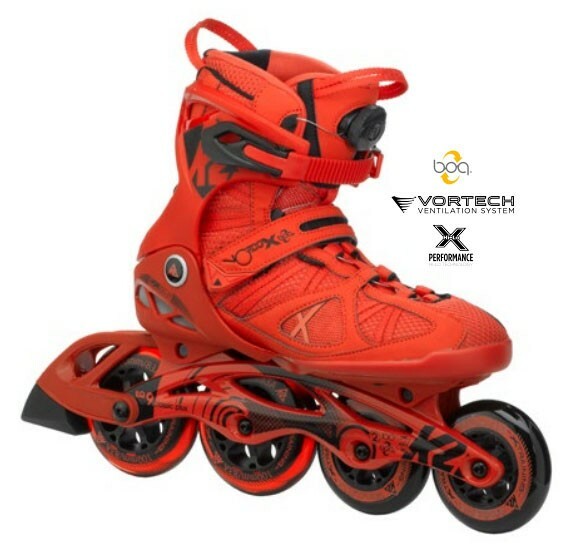 K2 VO2 100 X Boa - the new 100 mm Inline Skate K2 with 2x 100mm castors at rear, 2x 90mm wheels forward, and ILQ 9 Classic Plus Ball Bearings. In addition, this year has been put back on the Boa closure system that allows during the journey to lace up the skates. For the area of training and fitness an absolute top liner. 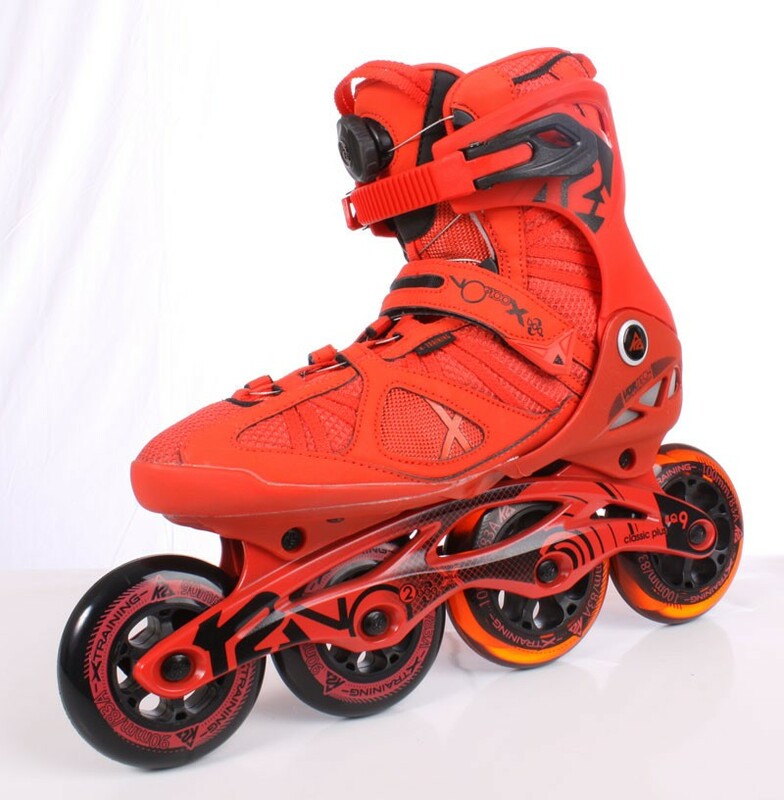 The new 100mm Inline Skate by K2. Again with 2x 100mm front casters fitted as in the previous year behind and 2x 90mm wheels. Also closure system was set to continue on the Boa, which allows you to readjust while skating. 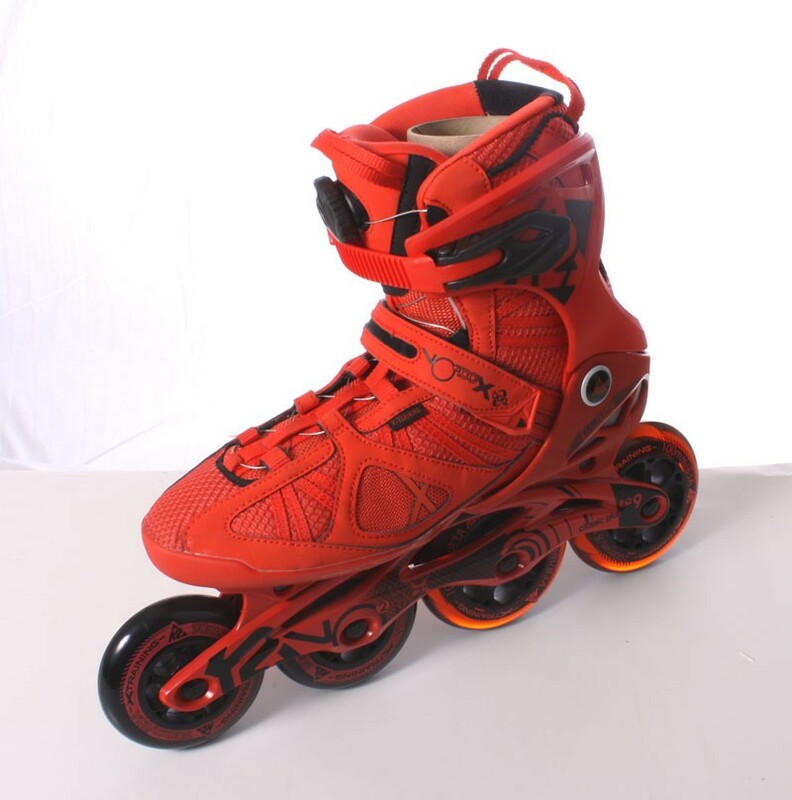 Laced Inline Skate Boa system with the rotary knob is a real relief. The advantage of this is the gleichmäsige train so that when turning the knob, the lacing lacing gleichmäsig around the foot. Thus, it is not possible at the same fixed number of revolutions to bind a shoe. You can do this under readjust the trip easy by tightening the knob briefly to open and then press it and rotate to close the skate again. The composition with 2x 100mm and 2x 90 mm wheels finds its meaning in the Hi-Lo system again. 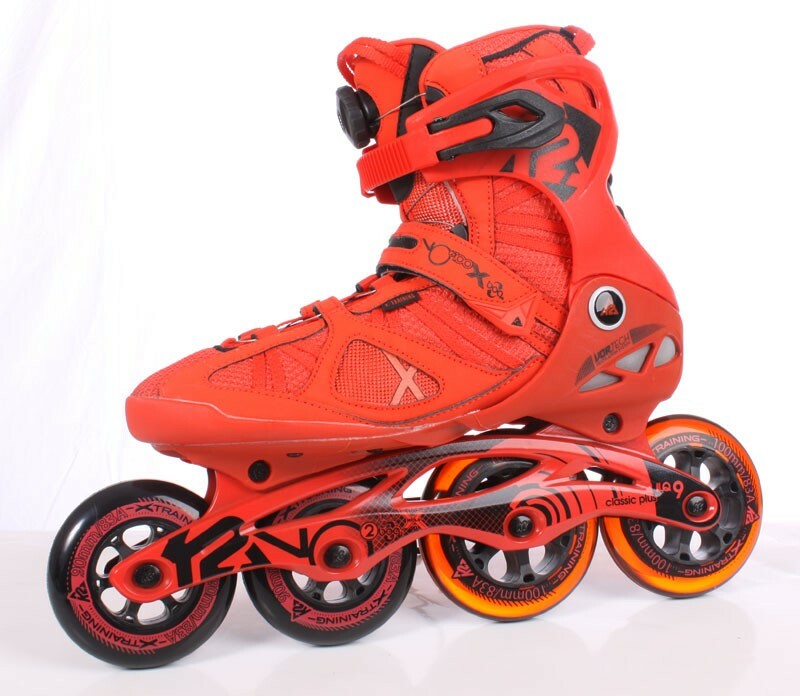 The Hi-Lo system should have the purpose to make the skate despite high roller size and long track length still agile. This is achieved by shifting by 2x higher rear castors and 2x smaller rolls forward. A direct comparison with a 4x 100 mm inline skate this is also clearly noticeable.